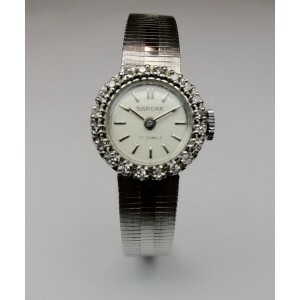 Omega watch from the 1970's c.a. 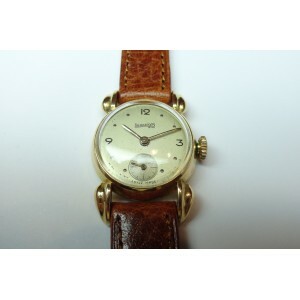 in 18 KT gold and diamonds, with manual winding, fully functioning. 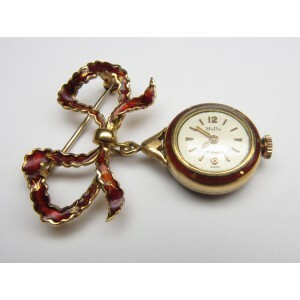 Brooch and pendant watch with enamels in 18 carat gold, fully functional, 1950s. 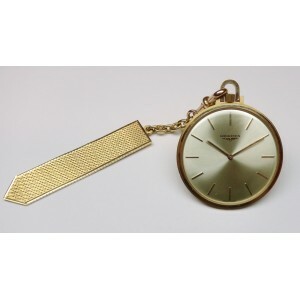 Sizes: 1.8 cm diameter - brooch 3.5 cm length and 4.2 cm height. 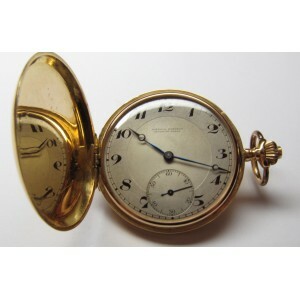 Initiative pocket watch with anchor escapement, spirale Breguet, in gold. Bas-relief representing mounted horses, beginning 20th century. Size: 5.2 cm diameter. 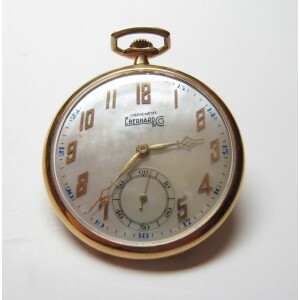 Eberhard & Co. pocket watch in 18 carat gold with rare mother of pearl dial, Deco 1930. Size: 4.5 cm diameter. 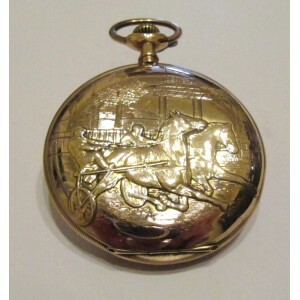 Savonette pocket watch in 18 carat gold, signed National Watch, fully functional, early twentieth century. Size: 4.5 cm diameter. 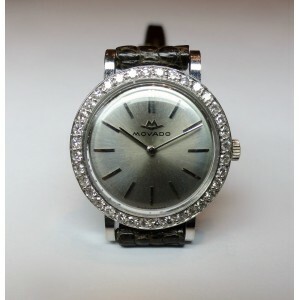 Ladies white gold (18KT) and diamonds watch with manual winding, fully functioning. Le Gioie di Funaro purchases antique jewellery, carries out valuations and appraisals of antique jewellery, silver items, watches, gold and diamonds. Since always Mr. Francesco Funaro offers exquisite vintage jewellery, whilst maintaining the style started by his father in 1946. Le Gioie di Funaro offers a wide range of prestigious brands.